Quality custom made Plantation Shutters made from real wood, not cheap inferior synthetic or vinyl products. Get the best for less! Don't be fooled by products made of imitation wood or plastic, when it comes to Plantation Shutters nothing compares to real wood. Window Shutters or Plantation Shutters are the only Window Treatment that will add to the value of your home. Available in many painted finishes Plantation Shutters add beauty and richness to any decor and are available in several different louver sizes. Choose the 2 1/2 inch louver size for a traditional look or make a bold statement with a 4 1/2 inch louver. With so many painted shutter colors to choose from the possibilities are endless. Insist on the best, Real Wood Plantation Shutters from BlindzMart. Window Blinds provide more than just privacy. Custom Window Blinds also add beauty and style to your living space. Wood Window Blinds have many decorative options such as decorative cloth tapes, larger slat sizes, and decorative valances to add warmth and richness to your decor. Faux Wood Window Blinds create the same effect and cost less than Real Wood Blinds. Faux Blinds are also great in high moisture areas like kitchens and bathrooms. Vertical Blinds are more practical for sliding glass doors and other large areas that require Window Treatments. BlindzMart has a large selection of Custom Window Blinds in many different styles. Window Shades create a soft look while adding privacy and light control. Choose from light-filtering fabrics to let a natural glow in to your room or select blackout fabric for total privacy and light blocking. Custom Window Shades have many options such as a top down-bottom up feature that allows the shade to be lowered from the top down or lifted from the bottom up as with Window Shades with a traditional lift feature. BlindzMart has a large selection of Custom Window Shades to choose from in a wide array of colors and styles. Window Blinds Chandler Arizona – Looking for the best price on quality custom Window Blinds, Window Shades, and Plantation Shutters? Finally, you’ve found it! Because no one beats our prices on custom window treatments in Chandler Arizona or anywhere in the Valley. So, be sure to ask around; chances are your neighbor bought their window treatments from BlindzMart too. We bring the showroom to you! We are a shop-at-home service, we do not have a showroom. 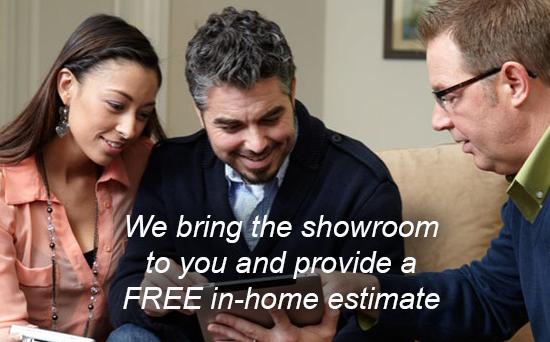 Also, our salespeople come to your home and provide you with samples, a free consultation, and estimate. In addition, we measure your windows and guarantee a custom fit. As such, we do not sell ready-made blinds. All the products we sell are custom-made and come with free installation and a warranty. By saving money on expensive overhead, we can pass the savings on to you. BlindzMart offers a large selection of window treatments including; wood blinds, faux wood blinds, cellular shades, pleated shades, roman shades, roller shades, vertical blinds, mini blinds, plantation shutters; and so much more. Also, we sell only name brand window treatments from Graber, Bali, Hunter Douglas and more. As a result, BlindzMart has the best price on custom window treatments in the Metro-Phoenix area of Arizona. And, we are so confident of our low prices that we offer a 110% Best Price Guarantee. So if you do happen to find a lower price on any type of window treatments including; blinds, shades, and shutters, BlindzMart will match that price plus an extra discount of 10% of the difference in price. This is the BlindzMart 110% best price guarantee. Why pay more? By not having the high overhead like many other window treatment companies do; BlindzMart can pass the savings on to you, our customers. There is no need to shop for window treatments in a showroom; when BlindzMart brings the showroom to you. These retail locations pay a lot in overhead costs; then pass these costs on to the consumer in the form of higher prices. BlindzMart eliminates this overhead by bringing our mobile showroom to you, thus saving you money. So, don’t pay high prices for custom blinds, shades, and shutters. Call BlindzMart instead to get the best price on window treatments in Chandler Arizona. We service all the Phoenix metropolitan area including; Chandler, Gilbert, Tempe, Mesa, Queen Creek, San Tan, Scottsdale, Glendale, Peoria, Surprise, Avondale, Goodyear, Buckeye, Apache Junction, El Mirage, Fountain Hills, Paradise Valley, Sun Lakes, Sun City, Anthem, and beyond.